One of our tenant couples moved out last week, taking with them their bed and leaving a big space! I like providing the Brimnes Ikea beds as they look great, plus are very sturdy with incorporated storage in the form of four big drawers as part of the frame. This stops boxes and crates being dragged in & out and wrecking any flooring, plus keep rentals tidier. However, I don’t like the headboard designed to go with the bed, it adds too much to the length of the bed for smaller bedrooms and is clunky design-wise. 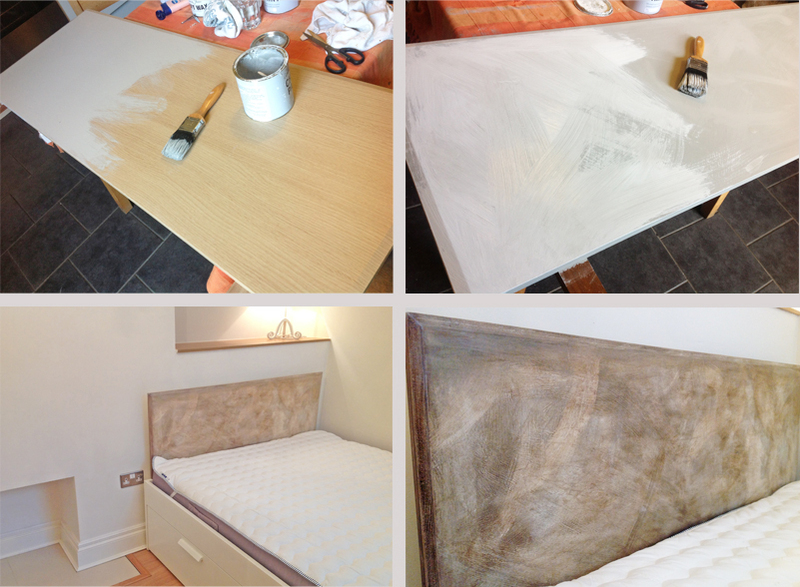 It’s easy to fix on a timber headboard to the Brimnes bed and I had a beech style one already in the cellar, but it looked a bit modern &, well, cheap. The apartment is lovely with creams, taupes and some French styling, so I decided to paint and wax the headboard to give it a more vintage feel.